Even nicer vehicles can break down. If your fine vehicle is involved in a car accident, it needs to get to your mechanic. On the east side ABC Towing is your Mercer Island towing vendor. We know how to safely tow finer vehicles. These include Mercedes Benz, BMW, Jaguar and other fine vehicles. No further damage will be caused by our tow operator. We listen to your instructions on where to take your vehicle. 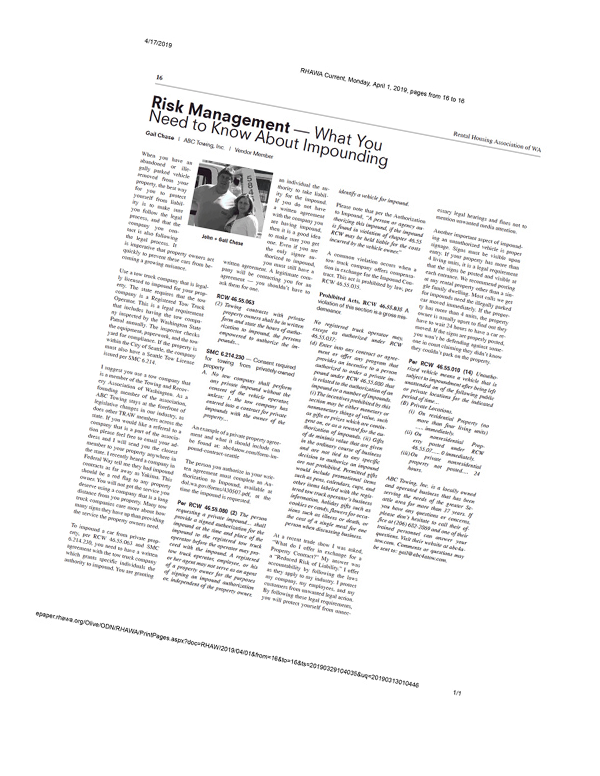 It’ll be delivered to your mechanic or other automotive expert. Owning a custom vehicle can be expensive. If it needs to be towed you want it taken care of. 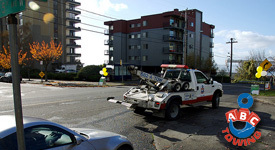 Your Mercer Island towing company can tow custom vehicles. We’ll tow your custom cars, trucks and vans. Towing is available for classic cars. We have experienced tow operators who know how to handle these vehicles. For your comfort we do flatbed towing. Contact us for Mercer Island towing today. Some vehicles are bigger than others. In these cases a regular tow truck won’t do. 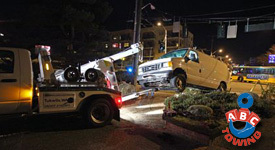 ABC Towing has flatbed towing in Mercer Island. Our flatbed tow trucks are tough and strong. Powerful hydraulics incline and can move to ground level. This makes it easier to tow your vehicle to its destination. Your vehicle can roll onto our flatbed tow truck. Or we can pull it using a powered winch. Either way flatbed towing is a great option for moving your vehicle. Contact us with any questions you may have. Are you a motorcycle owner? We can tow your damaged motorcycles. Our tow operators are experienced in towing all models of motorcycles. 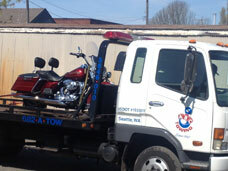 Motorcycle towing is available for Harleys, Yamahas, Hondas, BMW’s and more. We understand your motorcycles are important to you. We’ll use a flatbed tow truck to get the job done. They’re secured using special equipment. It keeps your motorcycles in place at all times. They’ll be delivered in one piece, so you can get them repaired.